Brazilian youngster Maycon came off the bench to rescue Shakhtar Donetsk a 2-2 draw in their Champions League opener against group-stage debutants Hoffenheim in Kharkiv on Wednesday. Paulo Fonseca’s Ukrainian champions trailed twice, but the 21-year-old Maycon’s first goal for the club in the 81st minute grabbed a point in the Group F clash. 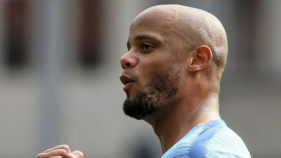 English champions Manchester City host Lyon in the group’s other game later on Wednesday. Julian Nagelsmann’s Hoffenheim got off to a dream start as Florian Grillitsch gave them the lead in only the sixth minute. 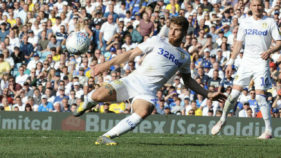 After the visitors snatched the ball on the halfway line, the Austrian midfielder latched onto Leonardo Bittencourt’s perfectly-weighted through ball before casually dinking the ball into the net to score his third goal for the club. The debutants almost grabbed a second goal on the quarter-hour mark, but striker Adam Szalai’s well-struck volley was parried away by home goalkeeper Andriy Pyatov. But Shakhtar grew into the game, and just seconds after Taras Stepanenko headed over, Ismaily levelled with a fine individual goal, as the Brazilian full-back cut inside from the left-hand side and curled home with the outside of his foot. The Germans continued to look dangerous on the counter-attack, though, and after Bittencourt’s header was saved by Pyatov, the keeper failed to claim a corner and Havard Nordtveit headed into an empty net to restore their advantage in the 38th minute. Hoffenheim had chances early in the second half to put the match to bed, with Andrej Kramaric curling a free-kick over, but Shakhtar piled on the pressure late on and Maycon hammered a left-footed strike into the bottom corner to grab a point. In Wednesday’s other early match, Ajax eased to a 3-0 victory over AEK Athens in Amsterdam, with Argentinian Nicolas Tagliafico scoring twice.